The Tuggeranong Challenge 2017 – The Richard Flockart Edition took place at Lakeside Leisure Centre on Saturday, 16 September 2017. 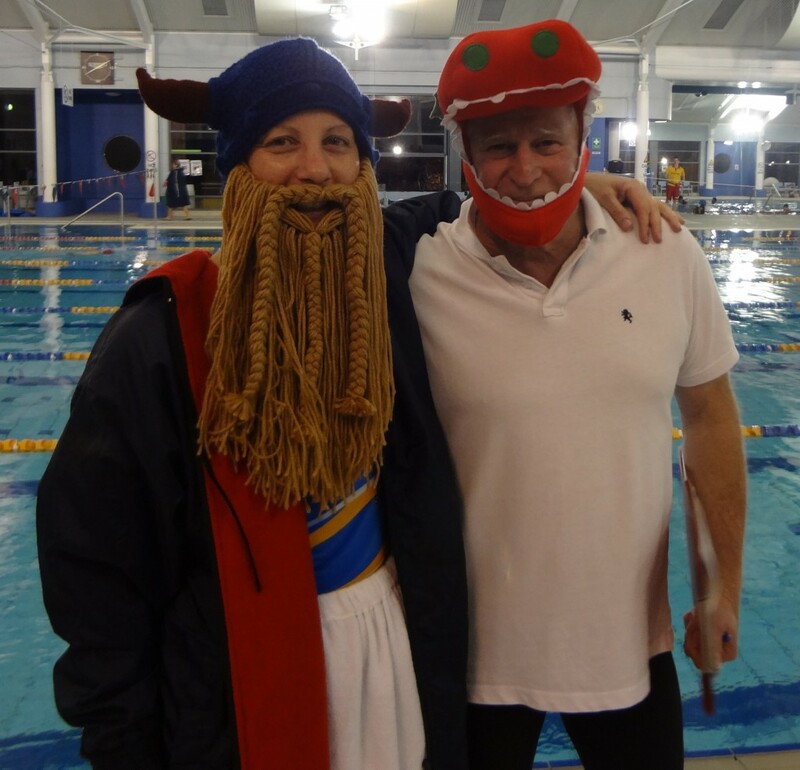 This special edition of our regular Challenge meet included a 25m Butterfly event “THE FLOCKART FLYER” took place at the start of the meet and was swum in memory of Richard Flockart. Richard passed away on 20 December 2016 from complications arising from his treatment from myelofibrosis. Richard’s death was totally unexpected. Although myelofibrosis is a serious condition, Richard’s medical reports had been positive. We had expected Richard to complete his treatment in Melbourne and to return to swimming in Canberra in early 2017. Richard had been a club member for many years and was an active competitor, his favourite and best stroke being Butterfly. Richard competed with both with us at Tuggeranong and his first club the Powerpoints. During the initial years of his illness Richard continued to train with us, during most of 2016 Richard did not have the physical stamina to train, however he did manage to keep fit and he continued with his study of German. He was one of a kind and always made us smile! We saw 90% of the swimmers entered in the meet taking part in The Flockart Flyer. 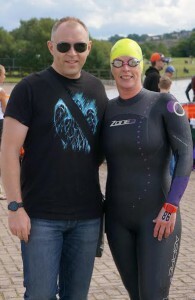 We asked swimmers to wear something purple or pink in honour of Richard and his love of those colours! 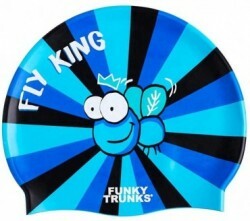 There was a mystery prize for the swimmer who finished closest to their nominated entry time in the 25m Butterfly event “THE FLOCKART FLYER” … and the winner was Caz Makin from Vikings … who won this fabulous “Fly King” swim cap in memory of Richard whilst wearing a purple suit and pink cap and goggles! Next up we moved onto The “Challenge” which consists of swimming a 50m, 100m and 200m Event, each in a different stroke. To ascertain the winner we aggregate the absolute difference between actual and nominated time for each of the three events. For example: if you swim 2 seconds faster in event 1, 3 seconds slower in event 2 and 0.5 of a second faster in event 4, your total difference over the 3 events is 5.5 seconds. The trophy will be presented to the swimmer with the smallest total difference. The fastest swimmer will not necessarily be the winner. The Overall Challenge winner was Nick Grinter showing consistent swimming across the 3 events with a total time difference on entry times of 1.28 seconds. Katrina Burgess place 2nd overall with a time difference of 3.36 seconds and Caz Makin 3rd overall with a 3.39 second time difference. 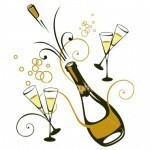 The Tuggeranong Challenge meet also includes with an exciting finale to the day – the Champagne Shoot Out Relay. The 6 teams closest to their nominated entry time in the 4x50m Freestyle Relay go through to the Champagne Shoot Out Relay which is a handicapped event, with the winning team being the first to touch the wall! This year we saw of mixture of Womens, Mens and Mixed teams in the finale from Tuggeranong Vikings, Molonglo Water Dragons, Campbelltown and Ginninderra. 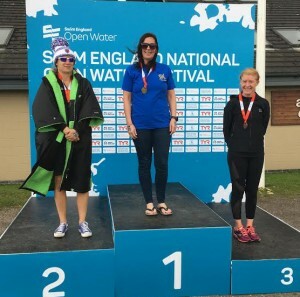 The Vikings Women’s Team of Atsuko McGowan, Kylie Lane, Suzie Gunning and Katrina Burgess held on to clinch victory finishing less than a second ahead of the Vikings Mens “youngster” team in 2nd place. Full meet results are available on the MSA portal. Annette Britten – as Meet Director for processing all entries in the Meet Manager system and running such a successful event on the day. 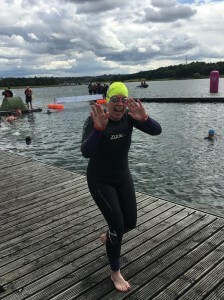 Caz Makin for once again organising the flyer and program for the event and sorting out our Vikings relay teams, especially as she had been enjoying a holiday overseas and only returned home the week before the Challenge! Our visiting officials: Jodie Burke, Paul Bailey, Audrey Stutsel, Owen Sinden, Greg Lewin and Victor Libdy (who stepped in to give us a hand with starting – thanks Victor!). Your ongoing support is very much appreciated and without you we would not be able to run this fun event. Our club officials: Anne Smyth, Greg Gourley and Gary Stutsel for stepping in and lending a hand again and again. Greg Gourley for ensuring we had all our electrical goods charged, at the pool and ready for the day! Our recording team of Scott Makin and Jane Lindsay – A super job given that we were running 3 programs to obtain all the final results for the day. Rachel Morris – our runner for the day who did a fantastic job. Anne Smyth for organising all the prizes for the day and organising the set up and pack up crews. Donna Campbell for organising the catering, raffle prizes and selling tickets on the day and for organising the dinner afterwards. Officials were impressed by the spread of food supplied from the Café at the pool and the raffle was great with about 15 prizes in total up for grabs. Our volunteers who turned up to help with time keeping for the afternoon even though they were not swimming. Our volunteers who turned up to help set up for the event and pack away after the event. As they say “many hands make light work”! Those that provided home baked goodies and nibbles for the tea and coffee table. We are sure that all competitors had a fabulous afternoon of swimming and enjoyed the fun and friendship of the day in the true spirit of the Masters Swimming Australia motto.